Studies show that an active child is a happy child, and active children are more likely to become active adults. Children often begin to love sports at a very young age. Almost as soon as they can walk, they are tumbling, chasing balls, and running races. 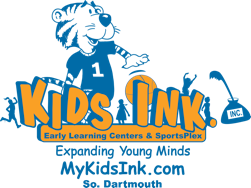 At Kids Ink we take advantage of this natural interest to foster continued love of sports and physical fitness. We utilize a variety of non-competitive games to promote fitness, motor skills, self-confidence, and problem solving. 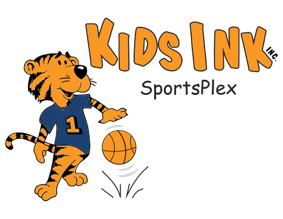 The Kids Ink SportsPlex provides a unique opportunity for fun family fitness, especially during the colder months when getting outside to run around and burn some energy is especially challenging. Call (774) 929-6565 for details on session dates, times, and fees.